I make no secret of the fact that I am a huge fan of the living legend that is Tom Hanks. Not only is he quite probably the greatest actor that has ever lived, he is apparently a great guy to boot. Making a case for Tom Hanks as the greatest actor in history is (unsurprisingly) a relatively easy one. He has starred in some of the most memorable films of the past 25 years and that is a testament to his innate talent, dedication to his craft and exemplary choice of roles. It really is hard not to like the man, and other dramatic performances in the likes of Forrest Gump, Saving Private Ryan, Apollo 13, Big, The Da Vinci Code and Captain Phillips have further cemented his place in the annals of acting greats. The 58-year-old has also proven himself a worthy voice actor, and Woody in the Toy Story franchise is perhaps his most well-known character. Hanks recently launched a new app revolving around typewriters which allows users to recreate the typewriter “experience” on a digital device. The app, called ‘Hanx Writer’ came about thanks to Hanks’s own interest in collecting typewriters from the 1930s-50s, but it’s not the only reason he is in the entertainment headlines of late. He has just starred in Carly Rae Jepsen’s new music video for her song ‘I Really Like You’, during which he lip-syncs most of the song’s lyrics as he goes about his daily routine. Granted, Justin Bieber makes a cameo towards the end, but don’t let that ruin it for you. Hanks is also a huge space geek (much like yours truly) and he executive produced, co-wrote, and co-directed the HBO docudrama From the Earth to the Moon. At US$68 million, this was one of the most expensive ventures ever undertaken for television. He also penned his first published short story in an October 2014 issue of The New Yorker entitled “Alan Bean Plus Four.” It is named after the Apollo 12 astronaut and fourth man to walk on the Moon and revolves around four friends who undergo a daring voyage to the Moon. It is clearly evident that Tom Hanks is a man who doesn’t rest on his laurels, and he is a multi-talented man both on-screen and off. A ‘Humans of New York’ story about Hanks’ befriending of a New York taxi driver went viral last year and is another reason why you should all love him. 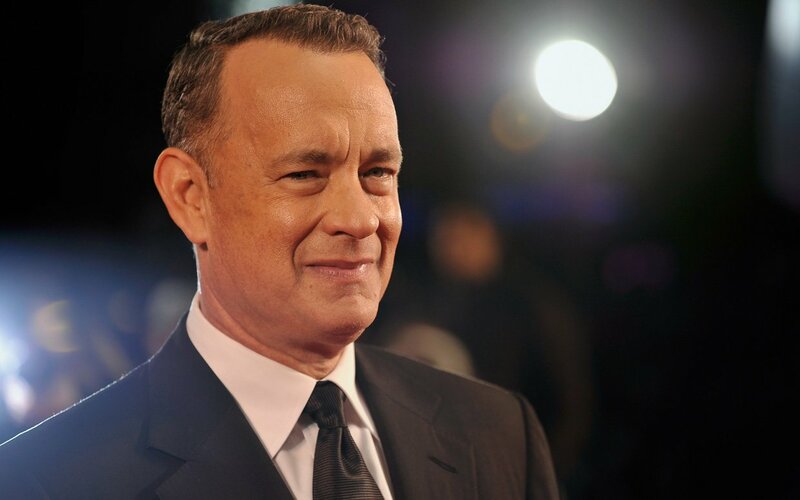 As of 2014, Hanks’ films had grossed over $4.2 billion at the U.S. and Canadian box offices, and over $8.4 billion worldwide, making him one of the highest-grossing actors in film history. However if ever a case were to be made in favour of the motion that money and fame don’t turn one into a pretentious so and so, Tom Hanks would be the only evidence needed. It was his character in The Da Vinci Code, Robert Langdon, who said that “What really matters is what you believe.” And I truly believe Tom Hanks is among the best of us. Besides, he made us all cry over a volleyball. I rest my case.